Delhi’s children have the weakest lungs as compared to kids from other metros, which is sad but true. 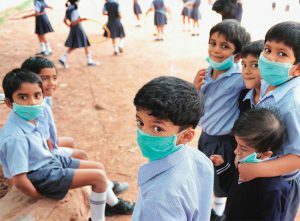 There have been studies that have evaluated the lung health of school children across metro cities and tried to gauge people’s views on air pollution. Click here to view full article. Copyright © 1991-2016, Paharpur Business Centre. All Rights Reserved.